Withers has bought out six-partner UK tech law boutique JAG Shaw Baker in the latest chapter of its global expansion. JAG’s 26-lawyer team has today (1 August) joined Withers’ London and Cambridge operations as the private wealth specialist targets investors and entrepreneurs in the life sciences and digital world. As part of the deal, a new division called ‘Withers Tech’ has launched, bringing together lawyers from its tax, employment and litigation practices to boost the firm’s connections with the tech industry. Merger discussions started about six months ago with a view to completing by the end of Withers’ financial year on 30 June. ‘It’s only one month after that, it’s all been planned quite nicely,’ Withers’ business division chief executive Jeremy Wakeham told Legal Business. The acquisition brings Withers’ UK lawyer headcount to nearly 300, but Wakeham said it would impact the firm’s operations across its 17 offices worldwide. Withers’ revenue growth slowed this year for a 1% hike to £176.6m after years of pacey increases on the back of international expansion. The 17-office firm recently re-appointed longstanding chief Margaret Robertson for a fourth term to 2021 after an uncontested election. After years of convincing growth on the back of its rapid international expansion, private wealth specialist Withers increased its turnover by a modest 1% to £176.6m this year. Growth in profit per equity partner (PEP) also slowed down and was up by 3% to £402,000 after jumping 25% to £381,000 last year, when the firm increased its top line 8% to £174.5m. The firm’s sharp fall in growth rate came despite a 13% increase in its lawyer headcount to 546. The number of equity partners was marginally down to 80 compared to 83 last year, while the total number of partners stood at 160. Withers had been experiencing high levels of uninterrupted growth as a result of rapid international expansion in previous years, growing its top line by almost £100m in the past decade. In the five years to 2016/17 it rose by 54% as the firms expanded its footprint globally. But the effects of the rush of internationalisation are now waning. The geographical breakdown of the firm’s revenue this year confirmed the growing importance of its international operations, with London accounting for 40% of its income or £71.7m and the rest coming from its 16 other offices in Europe, Asia and America. The slight increase in profits to £32.2m brought the top of its equity up 5% to £629,000 from last year’s £600,000, while the bottom went from £160,000 to £183,000. 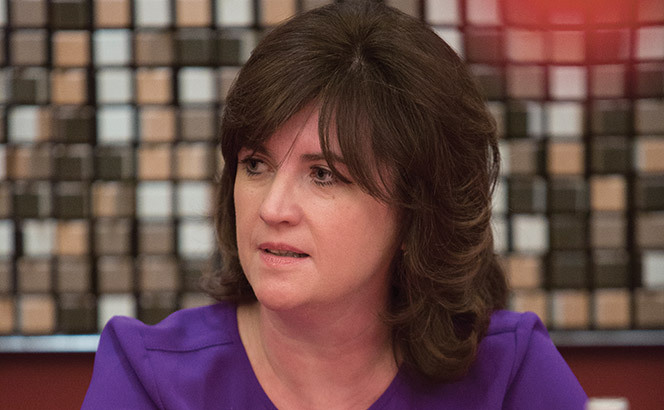 Earlier this week the firm re-appointed longstanding chief Robertson for a fourth term following an uncontested election, meaning she will lead Withers until 2021 after first becoming sole managing director in 2007. Withers’ modest increase in revenue comes as other UK firms have experienced high levels of growth this year amid booming transactional activity and low interest rates. Most recently, Macfarlanes announced a 20% lift in revenue to £201.5m and Addleshaw Goddard recorded 23% growth in revenue to £242m. Private wealth specialist Withers has recorded a decade of consecutive growth this year, with a profit per equity partner (PEP) boost of 25% to £381,000. With 2016/17 revenues up 8% to £174.5m, the pace of growth slowed from last year, when the top line figure was up 21% to £161.5m, but the firm’s international expansion appeared to continue to pay off. Withers previously grew 54% in the five years to 2016/7 and has expanded by almost £100m in 10 years, up from £78.2m in 2006/07. CEO Margaret Robertson described the performance as ‘very encouraging’, adding it was ‘the result of hard work by our people around the world and focused management of the firm following our substantial international growth over the past few years’. In 2016, the firm opened a new tax practice in Dubai with the hire of EY’s Middle East and North Africa private client head Stijn Janssen. In June 2015, launched a Tokyo-based tax practice, Withers Japan Zeirishi Houjin, and three new offices in the US with the hire of a nine partner team, most of whom came from McKenna Long & Aldridge ahead of its combination with Dentons. The firm now has 168 global partners across 19 offices in nine countries. This includes its own offices in Europe, US, the Caribbean, Asia and Australia, an office in Melbourne – Withers SBL Alliance member SBL Shmith, and an affiliated Tokyo office, Zeirishi Houjin. 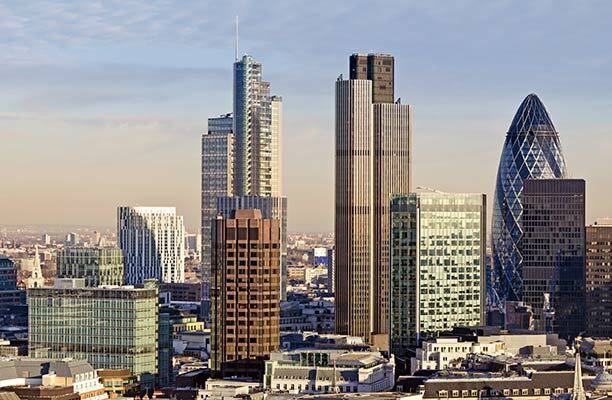 Withers lost its co-head of European wealth planning Filippo Noseda to Mishcon de Reya in June but made seven lateral hires during the financial year, strengthening its US, Asian and UK operations. In London, Azlinda Ariffin-Boromand joined the corporate team from Olswang in December and Jeremy Arnold the private client and tax team from Waypoint Capital in January 2017. In San Diego, the real estate team recruited Marjorie Burchett from Dentons in July 2016 and Jenny Hill Bratt from DLA Piper in January 2017. David Mallinson joined the Hong Kong hotels and sports practice from Mayer Brown JSM in August, while the Singaporean operations added Lada Shelkovnikova from Al Tamimi to join the hotels team and Farhana Siddiqui from Drew & Napier to the corporate team between October and December. A 12-strong team including three partners led by Mabel Lui from Winston & Strawn joined the Hong Kong office in July 2017. Lui will now head the Greater China commercial practice. 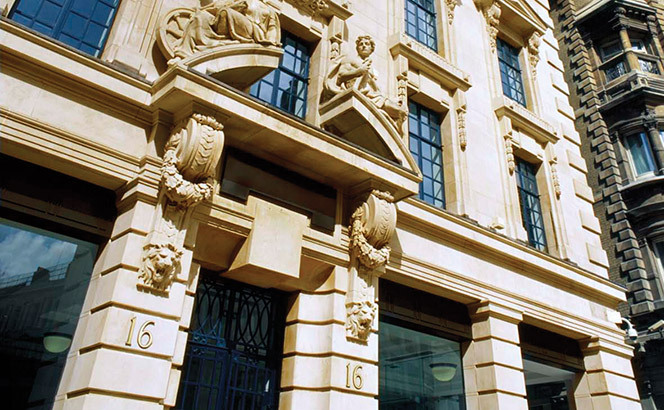 On 1 July, Withers also appointed eight new partners, six of them in London. Two of the new City partners will join the private client and tax team, the others will be part of the employment, dispute resolutions and corporate teams. The private client and tax teams in New Haven and Hong Kong made up one partner each. Last year, the firm promoted seven lawyers to the partnership. Trowers & Hamlins will retain 70% of its second-year trainees in newly-qualified (NQ) roles this autumn, while Withers has decided to keep 73% of its final-year group this year, both a fall from last year’s retention rates. Seven Trowers’ trainees from ten-strong cohort will be retained to qualify into the firm’s commercial property, corporate, construction and real estate departments. Four of those NQ solicitors will be based in Trowers’ London office, while two will be in Exeter and one in Manchester. However, slightly fewer trainees have been retained than last year’s autumn intake, when 11 of 14, or 79% of trainees were kept on. The rate is also significantly lower than Trowers’ spring 2017 trainee retention, when it retained 11 out of 12 or 92% trainees. The NQ solicitors are Lillian Adebayo, John Garland, Miranda Hamilton-Wood, Rachael Hershman, Emma Kirby, Jasmine Ratta and Justin Ryan. Trowers has multiple UK offices, a Middle East and South East Asia presence, and bases in Malaysia, the United Arab Emirates, Oman and Bahrain. The firm is ranked by Legal 500 tier one for local government legal work. City firm Withers’ trainee retention rate also fell slightly, as the global private client firm has offered newly-qualified (NQ) contracts to eight of its 11 second-year trainees qualifying this autumn. In 2016, the firm retained 10 out of its 12 or 83% of its second-year trainees. NQs at the global private client firm were paid £60,000 this year, after Withers decided to increase their salaries by 7% in October 2016, up from £56,000 in 2015. The NQ solicitors will qualify across a number of practice areas: one in litigation and arbitration, one in contentious trusts and succession, two in private client and tax, one in charities, and three in the family law team. Since October 2016’s pay review, first year trainees at Withers were paid £37,000, up from £34,000, with second year salaries £40,000 raised from £37,000. Withers, which specialises in services for high-net worth individual private clients, has 167 partners, a third of them trained at the firm, across 17 offices across Europe, US, the Caribbean, Asia and Australia. Allen & Overy (A&O), Quinn Emanuel Urquhart & Sullivan and Withers have advised as a tribunal convened under the UN Commission on International Trade Law (UNCITRAL) threw out two parallel investment treaty claims worth about $575m against Pakistan made by Progas Energy. In a legal wrangle that lasted five years, the Progas group of companies and Ali Allawai, formerly the Iraqi Minister of Finance, alleged that regulatory measures around liquid petroleum gas (LPG) pricing in the country forced the auction of its LPG import terminal at Port Qasim in Karachi after it became insolvent. The London-seated tribunal presided by chair Yves Fortier QC, Judge Charles Brower and J Christopher Thomas QC dismissed the case after spending 10 days presiding over hearings in 2015. Pakistan turned to A&O which has been working on six separate cases for the country over the last several years. 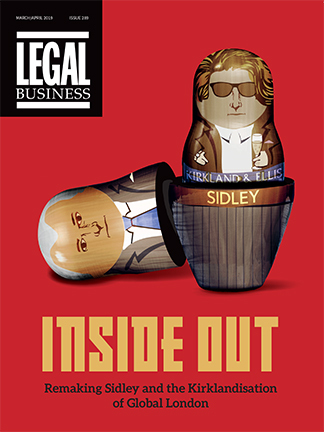 Judith Gill QC led teams on both claims with partners Jeff Sullivan, Marie Stoyanov, Andrew Battisson. The firm is also currently advising Pakistan several other disputes, including a claim brought by Turkish power-ship company Karkey Karadeniz worth over $2bn, made after Pakistan seized its ships. The Magic Circle firm is also helping Pakistan defend a multi-billion dollar claim brought by Australian mining company Tethyan Copper Company in relation to a mining concession in the Balochistan Province of Pakistan. Quinn partner David Orta advised Progas on its claim with a team led by Steven Madison, Tai-Heng Cheng, Daniel Salinas-Serrano alongside Withers partner Hussein Haeri who has overseen the case over the last five years. Other recent disputes mandates for Quinn include representing a group of US investors bringing a $100m claim against Mexico after its government seized and closed six casinos across the country in 2014, and the firm is bringing the first major US-style class action in the English courts against MasterCard. In some of the strongest growth figures to come out this year, private wealth specialist Withers has lifted its top line figure up 21% to £161.5m. The firm’s international strategy appears to have paid off. Withers grew its turnover from last year’s £134m, when revenue also rose 9%. Profit per equity partner was also up, increasing 11% to £305,000 from £275,000 reported in the 2014/15 LB100. Withers formed an alliance with KhattarWong in April 2015 and opened new offices in California in June, which saw the firm take on 50 new partners at the end of the 2014/15 financial year. The firm’s booming growth comes after a spate of international openings in the past two years. Last year, the firm launched a Tokyo-based tax practice, Withers Japan Zeirishi Houjin and launched three new offices in the US with the hire of a nine partner team, most of whom came from McKenna Long & Aldridge ahead of its combination with Dentons. This summer Withers opened a new tax practice in Dubai with the hire of EY’s Middle East and North Africa private client head Stijn Janssen. The firm said it had become ‘truly global’, with revenues up across its regions, with 48% coming from Europe, 35% from the US and 17% out of Asia. This week, Withers reported its latest partner promotions round, making up seven partners in six of the firm’s jurisdictions, bringing it to 165 worldwide. Another firm which saw business boom this year was Osborne Clarke, which reported another year of stellar results, increasing global revenues 23% from €191.6m to €236.3m. Withers has increased the number of lawyers promoted to partner, adding seven in its latest promotion round, with just one partner made up in the City. The promotions are an increase on last year’s cohort, when the firm added five new partners. The new partners come from six of the firm’s global jurisdictions, as Withers’ continues to invest internationally following a period of rapid expansion. The appointments included one London promotion, with Nicholas Vaughan made a partner in real estate in the firm’s City office. In Asia, two partners join the Hong Kong team, in family planning and tax, while one joins its Singapore litigation and arbitration team. The firm made up two US promotions, in Rancho Santa Fe, and Greenwich, Connecticut. It also made up another in Geneva. Withers’ wealth planning and tax team was the biggest beneficiary of the latest promotions round, with four associates made partner across four jurisdictions. The private wealth specialists now boast 165 partners worldwide, with the partners taking up their new roles on 1 July. The past 12 months has seen Withers continue its international expansion, launching a tax practice earlier this year in Dubai, hiring EY’s Middle East and North Africa private client head Stijn Janssen. The firm has also grown in recent years in Australia, Japan and the US. Withers launched its Tokyo office in June last year, hiring Morrison & Foerster’s Singapore-based Eric Roose to head up the regional tax practice. Withers continues its international expansion with a deal to launch a practice in Dubai with the hire of EY’s Middle East and North Africa (MENA) private client chief Stijn Janssen. The office will be located in the Dubai International Financial Centre (DIFC) following regulatory approval. Janssen led the MENA private client services team at EY and co-headed its Dubai international tax group since 2013. He was previously involved in the launch of Loyens & Loeff’s Dubai arm in 2008. Qualified to practice in the Netherlands, Janssen is a corporate tax adviser, and experienced on cross-border tax matters, including advising high net worth families and family offices on international tax and succession planning projects. He also advises corporates, investment funds and sovereign wealth funds on investments, restructurings and M&A. The move follows the City private client specialist’s hire of Morrison & Foerster partner Eric Roose last year to establish a Japanese tax group and corporate tax practice in Asia. The launch of the Tokyo office came during a period of intense international expansion by Withers. In 2015 the firm launched three new offices in the US with the hire of a nine-partner team, the majority of which came from McKenna Long & Aldridge ahead of its combination with Dentons. It also added to its corporate, litigation and IP law capabilities in the US with the hire of an 11-strong team from US practice Kelley Drye & Warren and announced a formal law alliance (FLA) with Singapore law firm KhattarWong. In almost every field of legal work, privacy is regarded as a primary and legitimate concern to protect the interests of individuals and organisations. This was confirmed recently when the European Court of Justice (ECJ) struck down the US-EU data exchange agreement amid fears that data transferred to the US would end up in the hands of the US government – a fear fuelled by the revelations in 2013 by Edward Snowden of widespread electronic surveillance – as well as a US judge’s ruling ordering Microsoft to deliver information held on an Irish server. For the ECJ, the US-EU ‘safe harbour’ agreement violated Article 8 of the European Convention on Human Rights, which states that a private life is a human right and any interference with it must be proportionate and justified. But in the area of tax, the converse position of complete transparency seems to be the only acceptable option these days. Is this proportionate and justifiable? The Organisation for Economic Co-operation and Development (OECD) is currently engaged in the implementation of a new international standard for the automatic exchange of information in tax matters, under the moniker of the Common Reporting Standard (CRS). Under the CRS, governments will gather and automatically exchange information on anyone with any sort of financial account in a foreign country. Fifty-four countries have signed up as early adopters of CRS, including the UK, with information being exchanged from 2017. The standard borrows heavily from the Foreign Account Tax Compliance Act (FATCA), which was introduced in the US in 2010 to capture worldwide tax information on American taxpayers. The CRS has a much more ambitious scope, however, and modelling the standard on the FATCA rules has created problems for implementing it in Europe. FATCA was written using obscure tax jargon and complex drafting techniques designed to fit with the US tax system. As a result of the OECD’s copy-paste approach, European countries now have to deal with complex conceptual difficulties and a sprawling document that refers to such things as ‘FIs’ (financial institutions), ‘NFEs’ (non-financial institutions), ‘passive NFEs’ (‘NFEs that are not active NFEs’) and ‘active NFEs’ (‘NFEs that are not passive NFEs’). If that were not enough, the commentary published by the OECD is full of discrepancies and U-turns. Against this backdrop, it is hardly surprising that national parliaments and the EU have rushed through the adoption of the CRS at the behest of supra-national and unelected bodies, without much debate on the wider implications for individuals’ right to privacy. Given the complexity of the rules, it is quite possible that a number of parliamentarians did not understand what was presented to them. In addition, the push for a standardised framework made amendments at national level virtually impossible. Finally, the branding of the new rules as a tool for the fight against terrorism and tax evasion ensured the least level of resistance and attrition. One particular concern of CRS is the disclosure of information in relation to discretionary beneficiaries of trusts and foundations. Discretionary structures are frequently established for the protection of minors and vulnerable people, who may not be aware of the existence of the structure. The risk is that vulnerable people will receive a visit from their tax authorities in circumstances where the taxpayer may not be aware of the circumstances of the visit and without there being any tax at stake. In our globally inter-connected environment, competing interests in information and in privacy must be balanced. The CRS rules have been pushed through in Europe partly on moral grounds, but it is hard to reconcile this stance with the principle of proportionality enshrined in Article 8. It is perhaps an irony that MEPs have been referred to the ECJ by a group of journalists over the European Parliament’s refusal to introduce transparency over MEPs’ expenses and that OECD employees do not seem to be subject to income tax (unlike the rest of us, who will be subject to CRS). Underlying these concerns about privacy of tax information are broader issues about the way that data is handled and protected in the modern world and this should concern all of us in the legal industry who take the fundamental right of privacy to heart. Filippo Noseda is co-head of wealth planning at Withers.